Obvs suit up and then have my career ended 15 seconds into my first shift because I never skated in my life haha. That cheap Orange color is not a good look and 95% of the fun is in the journey. Then again season tickets for life would feed the family for life. How much income would I get every year? Out of those I'd easily take the Rangers picking up Dahlin and Jack Hughes. edit if the green one actually means trading Hank for McDavid then that's the one, obviously. 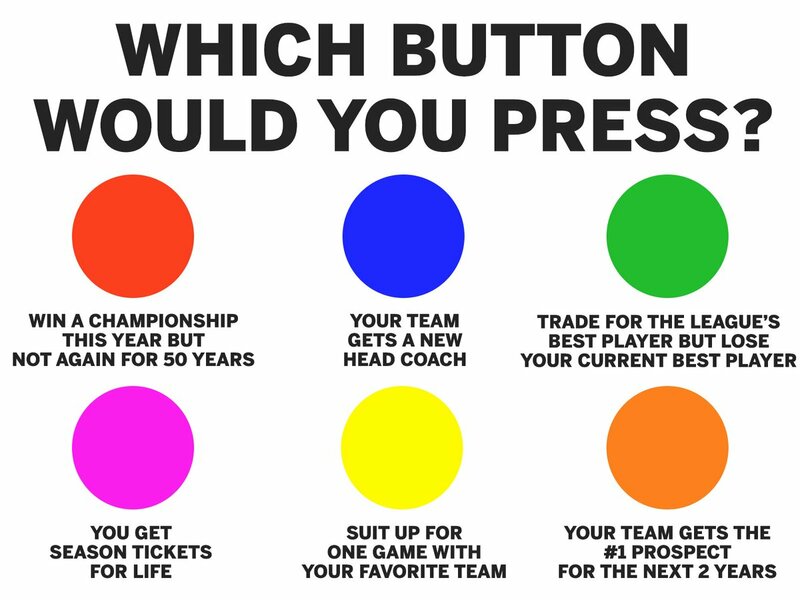 Probably Orange though- that could be franchise altering for years. Although my desperation has me leaning RED. We went Red in '94 and we now see how that went. Byfield #1 and Lefreniere goes #2. But you can take whoever you think is the top prospect and you get till that draft to decide. Yeah, I'll take the kid that's already putting up 80 in the Q.
Byfield is only 15 and he's a lean 6'4" 205 freak. 1st overall pick in the OHL, averaged about 3 points per game last season. He is a real good kid too (heard interviews with him and people who know/follow him), looks and acts like a man. His stick handling, passing, boardwork are exceptional. Don't sleep on him. Reminds me of when Lindros was 16 (for those who remember) and this kid is still 15. And Lafreniere carried a team in the Q as a 16-year-old. Byfield has a lot of promise. But there's a reason Lafreniere is regarded by so many so early as being the number one. He's a talent that's hard to find.